2020 census omits "Arab American"
Arab Americans still don't have the option to select a race or ethnicity beyond "white, black, Asian, American Indian, Alaska Native, Native Hawaiian Pacific Islander" on the U.S. census, the Associated Press reports. 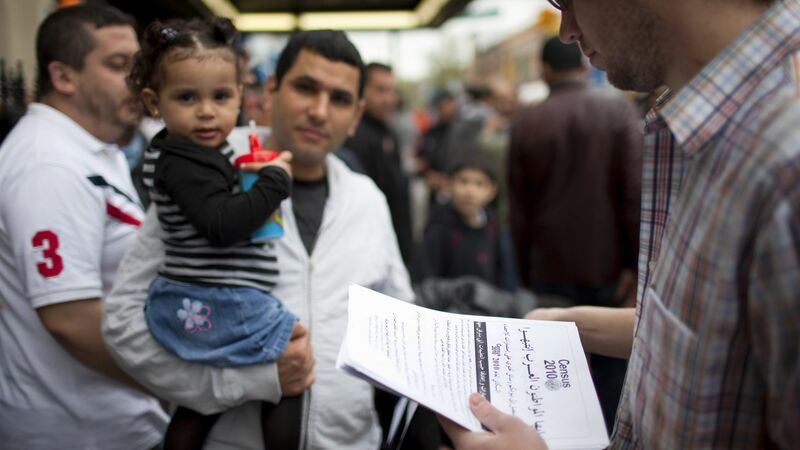 Reality check: The Arab American Institute says there are 3.6 million Arab Americans in the country, not the 2 million estimated by the U.S. census, per the AP. Census underreporting, which leads to a lack of representation, health and social services, is ongoing in a community that advocates say grew 72% between 2000 and 2010. What to watch: The Trump administration's request to ask about the citizenship of American residents on the 2020 census, which is still pending in the Supreme Court, would discourage 30% of Arab Americans from taking the survey, the American-Arab Anti-Defamation Committee reportedly found. “We do feel that more research and testing is needed before we can proceed to implement or propose to implement a separate Middle Eastern or North African category." Go deeper: Trump claims 2020 census without citizenship question is "meaningless"